In April 2017, the Corps of Engineers’ Fort Worth office requested a $251.3 million budget hike, $165.6 million of which was devoted to three line-items for design errors and omissions to compensate for earlier design flaws, lost time and renewed design validation. An example of problems identified in the new validation review were inadequate lighting fixtures and problems with ceilings that cost $1.8 million to correct, auditors found. An example of the schedule delays involved the “government’s direction that structural steel beams and columns be refabricated to correct errors in the design of the structure and that the contractor cease delivery of steel to the site,” the report said. That move affected the installation of the steel for a building required to be earthquake-proof, “resulting in reordering work and suspending critical work activities until the refabricated steel was delivered.” The cost and time increase: $9.8 million and 65 calendar days. “The DoD was requesting money to pay for design deficiencies that it accepted from another contractor,” the IG found. “Those deficiencies cost the DoD an additional $32.1 million.” One delay added 306 days to the contract, and as of March 15, 2018, the Corps of Engineers’ change request register showed 978 contract change requests, 132 of which were later canceled. The IG recommended that the assistant Defense secretary for energy, installations, and environment develop guidance on the reporting requirements, including identifying the roles each party is responsible for. 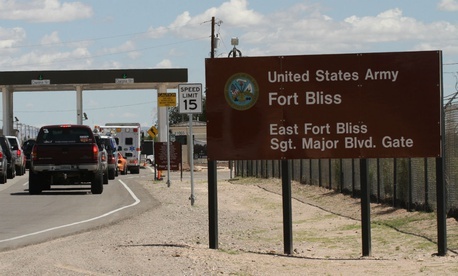 It recommended that the Defense Health Agency director and the Army Health Facility Planning Agency commander review the Fort Bliss construction project cost overruns and hold any individuals accountable as appropriate. And it recommended that the Corps of Engineers press for the same review accountability issues while also developing guidance to assure that contracting officers issue past performance evaluations of the contracting firm in accordance with the Federal Acquisition Regulation. The management officials agreed, with the Corps of Engineers planning an after-action report by September 2019.